Anesthesia malpractice claims in Maryland have declined. That is right. Something good is happening. Anesthesiologists have gotten better at delivering the appropriate amount of sedation. Why have they gotten better? I would say malpractice lawsuits. Anesthesiologists were forced to improve because their malpractice premiums were through the roof. Today, they do not even rank in the top 10 specialties. Still, there are too many mistakes that anesthesiologists make that cause patients injury and death. Anesthesia is a medication that is added to a patient’s body prior to a surgical procedure in order to keep the patient relaxed and comfortable during the process. There are generally three subsets of anesthesia the first being general anesthesia, the second being local anesthesia, and the third being regional anesthesia. General Anesthesia is used to cause a patient to become unconscious during the procedure while local anesthesia is used to numb a small area of the body where the procedure is being performed via an injection of medication. Regional anesthesia is very similar to local anesthesia where an injection of medication is used to numb a part of the body, but regional anesthesia different from local anesthesia concerns a larger part of the body, such as from the waist down. Esophageal Intubation: The standards of care requires the anesthesiologist maintains control of the patient’s airway in a safe manner during general anesthesia. This requires laryngoscopy and intubation maneuvers to be performed gently enough that the surrounding structures are not damaged. The key is visualizing the vocal cords. If the anesthesiologist cannot visualize the vocal cords, the doctor must be extremely cautious to put the tube where the vocal cords should be. f there is tearing of the proximal esophagus, the cause is likely medical malpractice. So much force is needed to rip the esophagus –which is incredibly durable — so the only way to rip it is to do the procedure incredibly wrong. An esophageal tear is life-threatening and can lead to a tracheal esophageal fistula or a tracheal cutaneous fistula. A doctor can also make the esophageal tear wors by failing to timely identify the injury after it occurs. Aspiration: The standard of care requires the anesthesiologist to minimize the risks of aspiration. In a patient at risk for aspiration, extreme care must be taken with the induction and intubation. A rapid sequence induction must be performed using cricoid pressure and with suction readily available. They key is to protect the airway or at least minimize the time that there is an unprotected airway. So the doctors have to watch out for aspiration and then deal with it quickly when it does occur. Premature extubation: The greatest postoperative risk to patients is premature extubation, particularly if the patient is overweight. The cardinal rule is not to lose the patency of the airway. Reintubation is not always easy. An anesthesiologist is responsible, like any other doctor, to exercise the degree of care and skill that an anesthesiologist should use given the circumstances when measuring the proper amount of medicine that the patient will need before and during the procedure. 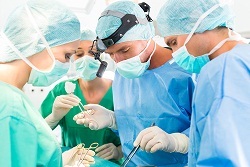 Anesthesia malpractice occurs when an anesthesiologist fails to provide the right amount of anesthesia to the patient, fails to correctly monitor the patient’s vital signs over the course of the procedure, fails to know when a change in the administration of anesthesia or other medication is necessary, or fails to properly obtain informed consent from the patient. Because general anesthesia causes you to become unconscious, it is the type most common to cause side effects and carries the most risks. Many side effects are minor and temporary such as nausea, vomiting, chills, and confusion, however, there are more severe and less common risks that one should be aware of. Some patients can develop postoperative delirium or cognitive dysfunction which is a condition that can result in long-term memory and learning problems. It is more commonly seen in older patients as compared to younger patients because aging brains sometimes have greater difficulty recovering from anesthesia. Additionally, people with conditions such as heart disease, Parkinson’s disease, Alzheimer’s disease, or who have had a stroke are also at a higher risk of developing this condition. It is important for a physician to be aware of these issues prior to administering anesthesia to a patient. Additionally, although rare, some patients may develop malignant hyperthermia which is a very serious and sometimes deadly reaction to anesthesia that can occur during surgery and causes and very fast onset fever and muscle contractions. The risks of developing this condition are heightened in patients who have suffered from heat stroke in the past or who have developed the condition in the past during prior procedures. Breathing problems during and after surgery also can be a significant risk for patients who undergo anesthesia. Patients who have obstructive sleep apnea are at a higher risk of developing breathing problems during or after surgery because anesthesia can cause the throat to close up and make it difficult to regain consciousness. Local anesthesia carries more minimal risks but patients sometimes rarely experience pain or itching at the site where the anesthesia was injected. Regional anesthesia also carries fewer risks than general anesthesia, but in rare cases, if the injection site was a patient’s chest area the injection can cause a collapsed lung if the needle is inserted incorrectly. Additionally, patients can sometimes suffer from nerve damage in or around the injection site. Summarized below are recent verdicts and reported settlements from medical malpractice cases involving anesthesia. These case descriptions are provided for informational purposes only. In other words, you cannot rely just on these to determine the value of your own claim. Hollis v. The United States of America (Florida 2017) $7 million: Patient went to the Naval Hospital of Jacksonville for a routine procedure where he had to be put under general anesthesia. The patient was obese and had a history of sleep apnea. While under anesthesia, his blood oxygen levels dropped until he eventually stopped breathing 34 minutes later. The physicians failed to intubate the patient until 24 minutes later and as a result he suffered a severe brain injury and was left in a permanent vegetative state. The patient’s wife sued and claimed the hospital employees were negligent by failing to properly monitor him while he was under anesthesia, failed to properly consider his obesity and sleep apnea, failed to properly secure his airway, and failed to properly intubate him. The case did not go to trial and the parties settled for $7 million. 69-Year-Old Plaintiff v. Tzay (Massachusetts 2018) $1.15 million: Patient was put under anesthesia for routine cataract surgery. The procedure was thought to have been successful and was uneventful, however, the next day the patient was unable to see out the eye she had surgery on and went back for testing. The testing revealed that the anesthesiologist had inserted the anesthesia needle into her eye incorrectly and had perforated the globe of her eye and possibly administered the anesthesia into her eye, which resulted in a condition called central retinal artery occlusion. As a result, the patient is left permanently blind in that eye. The patient brought a negligence claim against the anesthesiologist and the surgeon and the parties decided to settle for $1.15 million. Munden v. Vohra (Illinois 2016) $7.75 million: This case involved a wrongful death and survival action brought on behalf of a patient who died while under anesthesia. The deceased patient’s estate claimed that the anesthesiologist and other physicians involved failed to order, and then proceeded to surgery without, a full cardiac workup. The cardiac workup should have included a consultation with a primary care physician and cardiologists prior to surgery that would have revealed heart problems the patient had that increased the risk of the procedure, however, neither were performed. The patient died from heart complications with the anesthesia during the procedure, and the estate then brought this claim. The parties went to trial and a jury awarded a verdict of $7.75 million. McCarley v. Anesthesia Service Medical Group (California 2018) $13,166,368: This case involved an 18-year old high school senior who was put under general anesthesia for a routine endoscopy procedure. During the procedure, the anesthesiologist improperly monitored her blood pressure and maintained it at too low levels. As a result, the patient suffered an anoxic brain injury which deprived her of any chance of gainful employment and independent living for the rest of her life. The parties went to trial and the patient received a jury verdict of $13,166,368 including both economic and non-economic damages. Donaldson v. Rogers (Maryland 2006) $675,000: This case involved a wrongful death and survival action brought on behalf of a deceased patient who was put under general anesthesia for a knee replacement. The anesthesiologist failed to recognize the patient had very high blood pressure prior to administering the anesthesia and the knee replacement was then performed, however, after the procedure during her recovery her blood pressure again was very high and she developed breathing problems with periods of apnea. Physicians tried to intubate her but she had already suffered sufficient damage including encephalopathy and cerebral edema which left her brain dead. She died not long after. The deceased patients mother brought this wrongful death and survival action against the anesthesiologist and hospital claiming that the anesthesiologist and hospital were negligent in that they failed to conduct appropriate examinations, allowed the surgery to proceed despite her raised blood pressure, and failed to sufficiently inform her of the risks and benefits of anesthesia, especially in correlation to high blood pressure. The parties did not settle and went to trial where the jury awarded a verdict of $675,000. 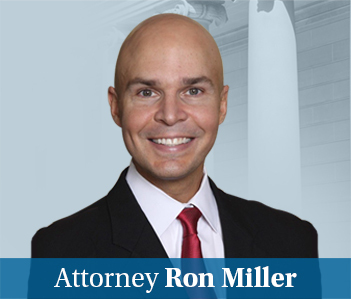 If you or a loved one has suffered an injury as a result of anesthesia and you think the anesthesiologist may have made a mistake, contact the Maryland-based lawyers at Miller & Zois for help. We can review your medical records and help you determine whether or not medical malpractice may have occurred. The consultation and evaluation are completely free. Call us today at 800-553-8082 or request an online case evaluation.